Dragon Ball GT - Transformation | Games RA is a place to play all kind of video games, huge selection of action, adventure, puzzle, rpg, retro, fighting, halloween, shooter games online in your browser, no download required. 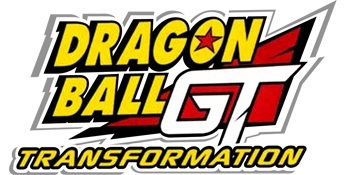 All games in tagged with "Dragon Ball GT - Transformation"
Dragon Ball GT (Japanese: ドラゴンボールGT(ジーティー), Hepburn: Doragon Bōru Jī Tī) is a Japanese anime series based on Akira Toriyama's Dragon Ball manga. Produced by Toei Animation, the series premiered in Japan on Fuji TV on February 2, 1996, spanning 64 episodes until its conclusion on November 19, 1997. Unlike the previous two anime series in the Dragon Ball franchise, Dragon Ball GT does not adapt the manga series by Akira Toriyama, but is a sequel show to the Dragon Ball Z anime with an original story using the same characters and universe.